EASILY BUILD YOUR ALUMNI NETWORK, MATCHED TO YOUR GOALS. Easy to mobilize your alumni, inspire your students, increase your services and improve your outcomes. Invite alumni as role models and volunteers for your mentoring, college readiness, career, stem, and project learning activities. 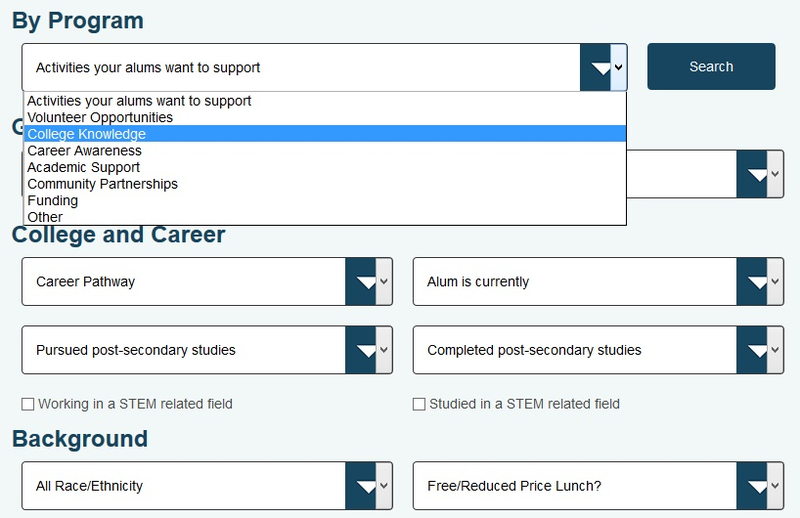 Ready made tools, strategies and alumni profiles make it easy to reach, reconnect, match and invite your alumni. Quick to launch. No data inputting. No forms. No extra work. Secure, ad-free and ethical. We are signatory partners of the Student Privacy Pledge. A simple platform that creates a strategic, school-wide alumni network for your educators. Start building your Alumni Toolkit network and support your programs and students today.